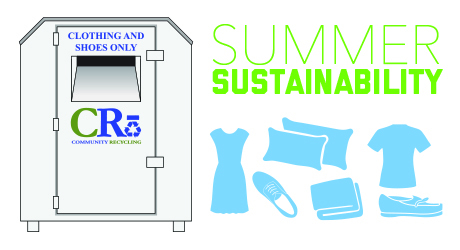 We encourage our Summer Guests to join GW in our sustainability efforts during your stay on campus. Community Recycling bins can be found across campus and allow you to give your gently used goods a second life. More than 98% of the clothes, footwear, and bags collected are destined for resuse domestically or internationally. Turn off lights and AC when you leave your room. Unplug electronics and/or chargers when not in use. Reduce your shower by five minutes to save 12 gallons of water.